The Victoria and Albert Museum,London, is the world’s largest museum of decorative arts and design, housing a permanent collection of over 4.5 million objects. It was founded in 1852 and named after Queen Victoria and Prince Albert. Until quite recent times, museums were private collections that were open to the cleaner and nicer sort of public at the whim of the collection’s owner. Having your own collection of art, antiquities or scientific curiosities was a status symbol for the rich and upper middle classes. For example, when the British Museum was opened to the public in 1759; the curators thought that large crowds could damage their priceless artifacts. So prospective visitors to the British Museum had to apply in writing for admission, and only small groups were allowed into the galleries each day. The British Museum became increasingly popular during the Victorian era as the amateur pursuit of Science became a ‘fashionable’ pastime for all age groups and social classes. Larger numbers of people visited the British Museum, especially on public holidays. The Smithsonian Institution Building – also known as the ‘Castle’. 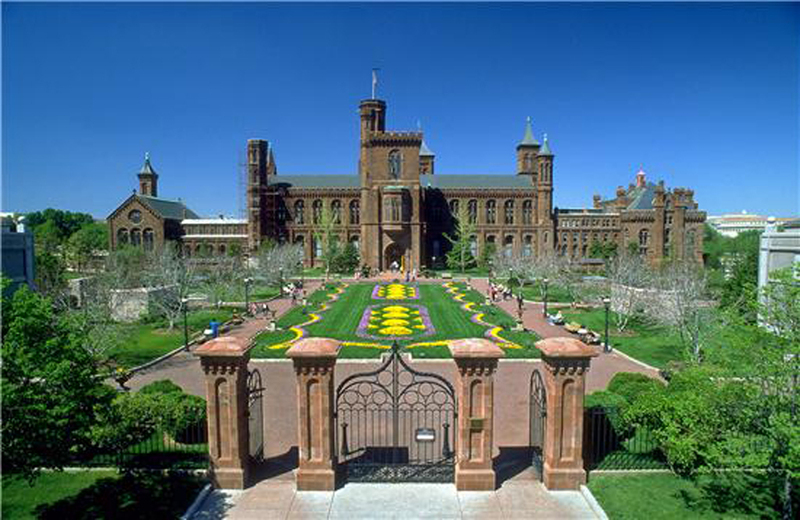 In 1846, The Smithsonian Institute was established – to the unending delight of science nerds everywhere. (Personally, I hope to visit the Smithsonian one day, with a few weeks under my belt so that I can see all of it.) Surprisingly, it was due to the British scientist James Smithson that created the Institute. Smithson left most of his wealth to his nephew Henry James Hungerford; however, when Hungerford died childless in 1835, the estate passed “to the United States of America, to found at Washington, under the name of the Smithsonian Institution, an Establishment for the increase & diffusion of knowledge among men”, in accordance with Smithson’s will. The U.S. government was tempted to use the money for other purposes, but it eventually made the morally correct decision to found a museum such as had never been seen before. The Smithsonian now comprises of nineteen museums and galleries, as well as the National Zoological Park. 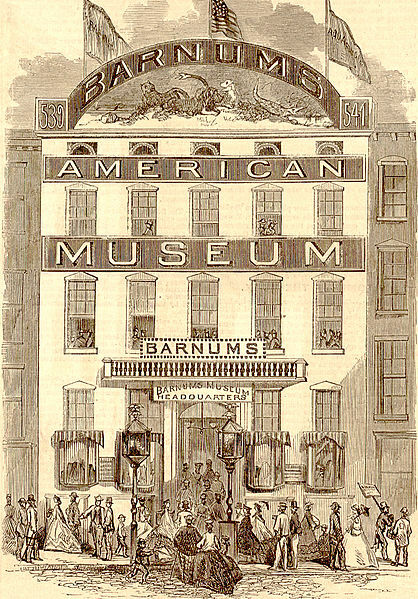 Also in America was Barnum’s American Museum, which was situated in New York and ran from 1841 until it burnt down in 1865. This a double tragedy, for not only were many exhibits destroyed, but as the animals struggled to escape the fire they were shot dead by policeman, who were only working in the interests of public safety. Before it burnt down, it was closer to a cabinet of curiosities or a collection of sideshow attractions than a museum as we know it today. After it burnt down for a second time, Barnum converted most of the exhibits into attractions at his famous circus. The main goal of our modern museums is to educate rather than just entertain. As a writer, my mind resembles a cabinet of curiosities more than it does a true museum. I try to update the collection and fill in the holes, writing index cards and create logical categories, but my mind keeps turning back to the stranger bits tucked away in my muse’s files. However, I can’t make museums any stranger than what they already are, and this makes them the perfect Steampunk setting or metaphor. Best of all, you can tailor your fictional museum to fit your needs. The Old Queensland Museum Building (the new building isn’t quite so interesting).